The celebrity stylist shares 10 must-haves for building a fashionable wardrobe, modeled by famous clients such as Anne Curtis, Marian Rivera, Bea Alonzo, and Kris Aquino. Liz Uy is more than a fashion editor and stylist: she has become a Philippine style icon, an inspiration for young women who want to achieve their more fabulous selves through fashion. 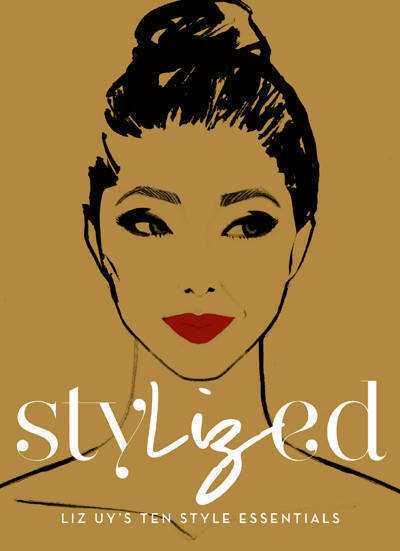 Summit Books proudly unveils StyLIZed: Liz Uy’s Ten Style Essentials, a must-have book for today’s fashion-loving Filipina. Here, Liz lists ten essentials and dishes practical tips to building a great wardrobe that’s both fashionable and functional. Each essential is modeled by some of her most famous celebrity clients and friends: Anne Curtis, Bea Alonzo, Marian Rivera, Georgina Wilson, Bianca Gonzalez, Sarah Geronimo, Julia Barretto, Isabelle Daza, Toni Gonzaga, and Kris Aquino. A celebrity stylist, brand endorser, and fashion editor-at-large for Preview and Esquire Philippines, Liz is highly respected and well-loved not just by her clientele, but by fashion industry insiders as well. "I respect Liz because she has innate sense of style, yet has the utmost respect for what clients—and the audience—want to see,” Kris Aquino says. “And I trust her for she knows what to highlight, should be played-up, and what should be hidden.” Meanwhile, fashion designer Rajo Laurel only has praise for the style personality and her work. "This book is a must-have for all women who want to achieve Liz's fierce, fabulous style. It's going to be the new fashion bible of the Philippines!" 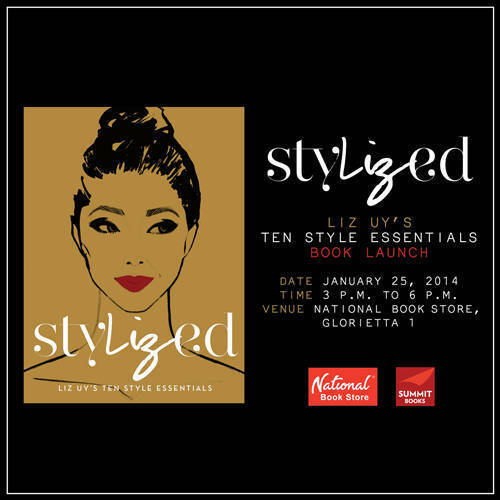 Liz will be launching StyLIZed: Liz Uy’s Ten Style Essentials on January 25, 2014, 3:00 to 6:00 p.m. at National Book Store, Glorietta 1, Makati. Fans and readers are invited to attend the launch and have their copies of the book signed by Liz herself. StyLIZed: Liz Uy’s Ten Style Essentials hits bookstores nationwide this month for P395. For more on Summit Books, visit www.summitmedia.com.ph/books and like on Facebook at www.facebook.com/SummitBooks.